Boost Your Home Value With Help from a Painting Company in Plano! Real estate agents have many tricks up their sleeves when it comes to making a home feel more appealing. Of course, you can save the bread-baking for another day and instead start picking out new paint colors to make your home stand out in the neighborhood! 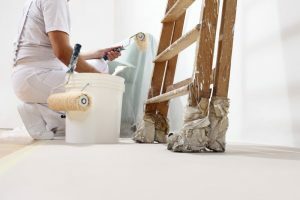 To get the most for your home, consider these tips from a professional painting company in Plano. You’d be surprised how much of a return you can get for simply painting the walls a different color. Comments Off on Boost Your Home Value With Help from a Painting Company in Plano! When you think of a fireplace, what does it remind you of? Do you think of winter nights spent with the family in your living room watching television? Is it the smell of wood burning, making you feel like your in the woods at a campfire? Or, does it remind you of a part of your home you wish you could just cover up? Your fireplace doesn’t have to be an eyesore anymore when you give it a fresh new look! 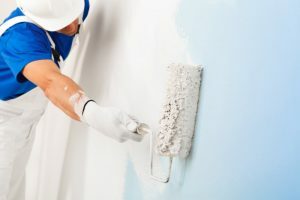 Consider these tips from a painting company in Plano! When you walk into your bedroom, what feeling does it emit? Do you feel comfortable and ready for sleep after a long day, or do you find yourself sleeping on the couch in your living room more often? The colors in your bedroom can make a big difference on your mood, so choosing the right ones matters. 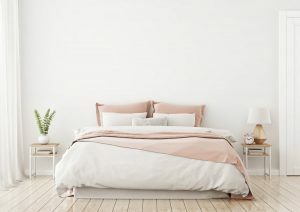 To make your bedroom feel like a slumber sanctuary, consider the following tips from a painting company in Mansfield. You’ll be glad you did the next time you wake up feeling rested! When thinking about painting your home a new color, it’s not just about the walls. You can’t forget about the only other surface as large as your floor; that’s right, we’re talking about the ceilings in your home! Keep in mind that you don’t have to settle for a white ceiling any longer. White is a safe neutral color that usually goes with everything, but that doesn’t mean you can’t get creative! 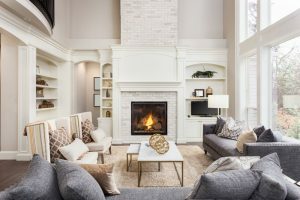 To learn how to make your home’s interior stand out, consider these options from a painting company in Frisco! 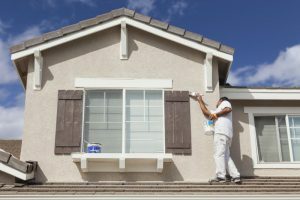 Plano Painting Company Gives Tips on Painting Your Home Exterior! There are two main benefits to giving your home’s exterior a new coat of paint. First, you’ll get the opportunity to get creative. There are so many accents you can apply to the trim, shutters, and house itself. Second, it’s the perfect way to stand out from your neighbors. When people walk by or come visit, the front of your house is the first thing they see, so why not make a good impression with bold colors and a thorough paint job? Check out these tips from a Plano painting company to help you get started! Comments Off on Plano Painting Company Gives Tips on Painting Your Home Exterior! Do you live in an area that gets heavy rainfall on a regular basis? Are stains coming through your walls and ceiling and now you don’t know whether your new paint job can be done? 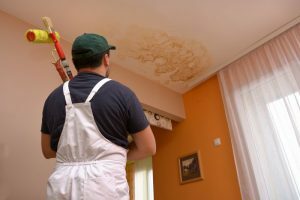 Water stains are unsightly, but that doesn’t mean you need to halt your home improvement. All you really need to do is take note of these steps from a painting company in Plano. Once you’ve prepped the area, you can rest assured that your new color will look great! Whether you’ve just moved into a new home or you want your current home to have an entirely different look, a new paint job is a great way to start. You’ve been to the paint shop and gone over multiple color schemes in your head. You’ve bought swatches and taped them to the walls, picturing your interior’s and exterior’s new look. The only thing you’re missing is a few cans of paint and a free weekend. Before you get started, your Plano painting company wanted to give a few reasons why you might prefer their help over the typical DIY. 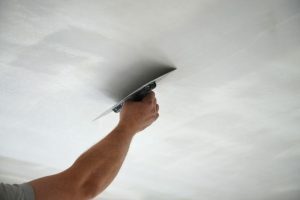 Popcorn ceilings can really be an eyesore, especially if you’ve had it for a long time. 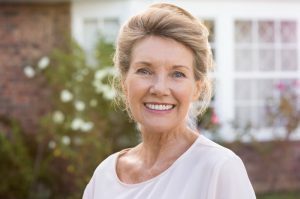 It’s an outdated look that no one wants anymore, plus it could be potentially dangerous to have in your home if it contains asbestos. Instead of going through all the hard work and making a huge mess on your own, it’s worth it to hire a popcorn removal company to help you get the job done right. Here are the benefits you can expect when your hire a professional. There are so many ways to customize the exterior of your home and make it look better than ever before. If you have a fence or deck that you think could use a touchup or even an entire color overhaul, your painting company in Flower Mound wanted to provide you a few tips before you get started. One of the most common questions we get is whether customers should stain their deck or fence vs. paint it. We answer that and more in today’s post! Got a Small Space? Your Mansfield Painting Company Has Ideas! Having to work with a small space can be difficult, especially if you frequently have guests. You don’t want your friends and family members to feel cramped, but you also don’t want to move out. That’s where your Mansfield painting company comes in. With their expertise, they can tell you which colors will make your interiors look larger, without using a single sledgehammer or power tool. It’s amazing how much of an effect paint colors can have on your interior’s appearance, even in small spaces. Comments Off on Got a Small Space? Your Mansfield Painting Company Has Ideas!